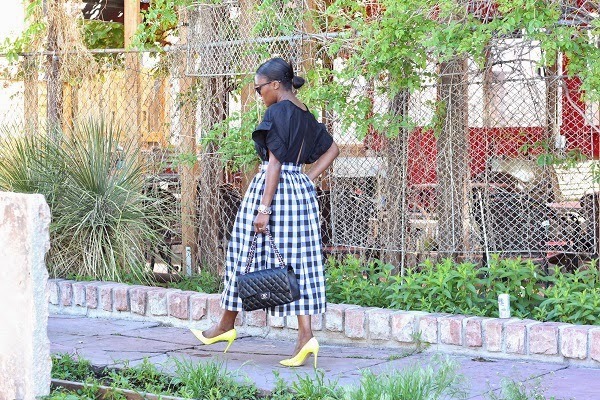 Gingham, a traditional and classic print is a huge spring trend and I am definitely a fan. 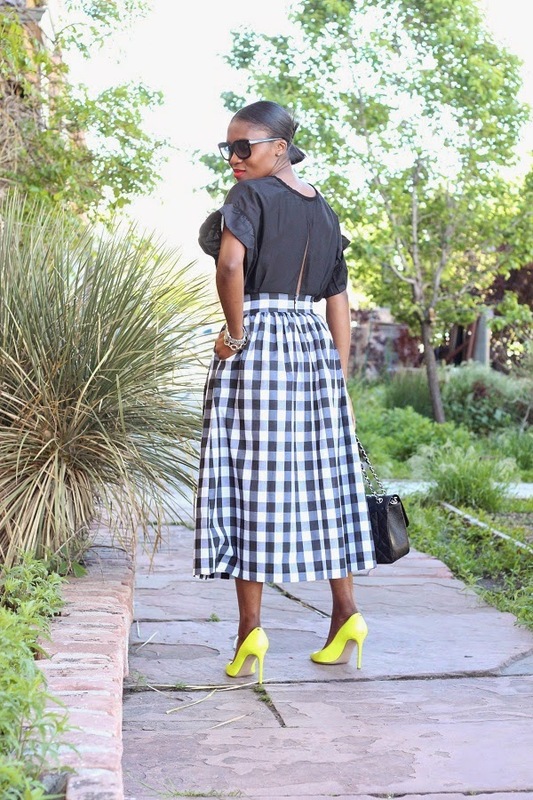 It’s a print which could be worn year round and paired with almost any colour. 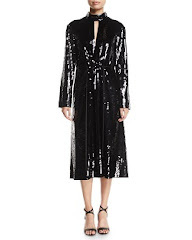 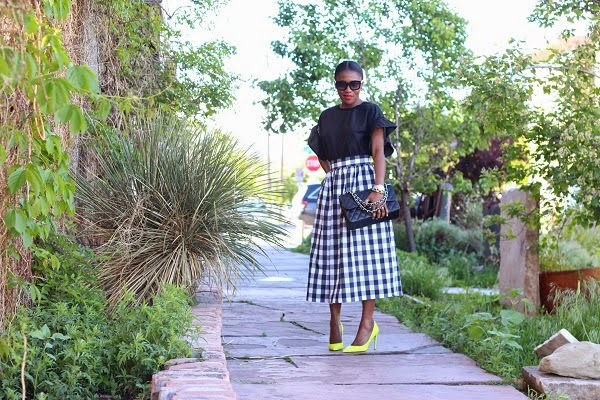 It’s such a fun print and dare I say chic. 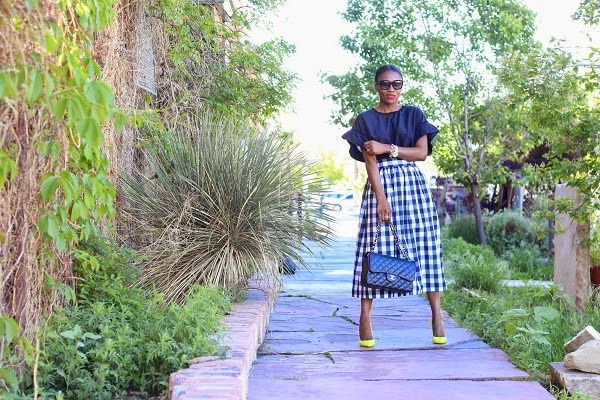 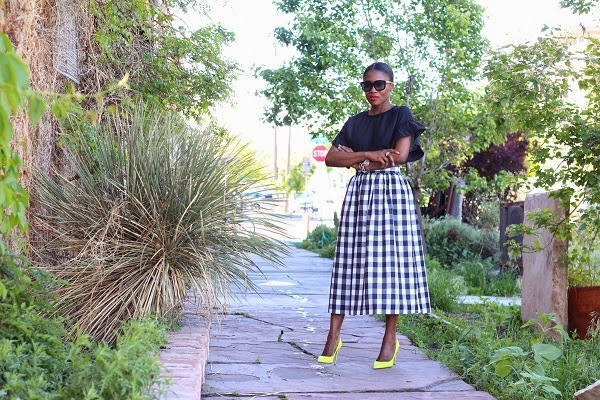 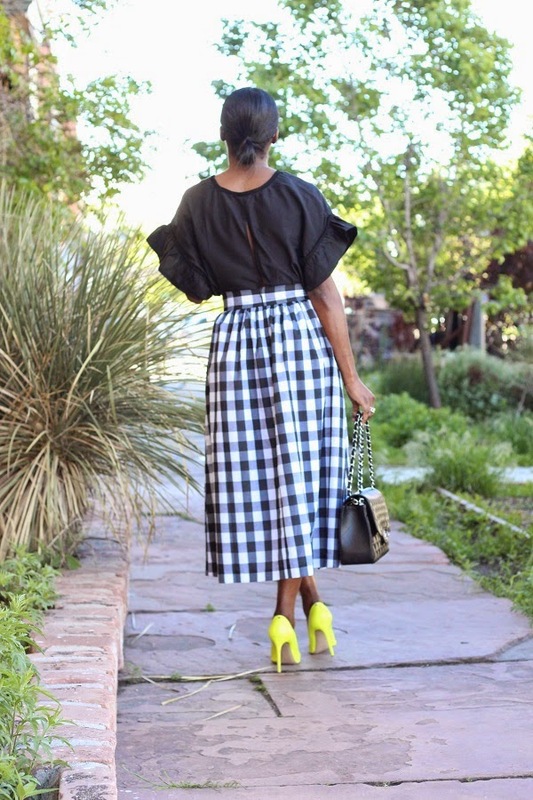 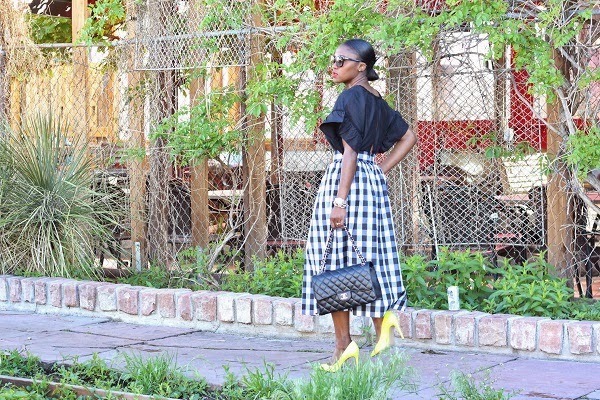 I paired my skirt with a flutter sleeve top and neon yellow heels for that pop.